Wiley CPA Review 2019: Test Bank at 15% Discount This Month! » Wiley CPA Review: Test Bank at 15% Discount! Wiley CPA Review: Test Bank at 15% Discount! In this evaluation, we focus on the Wiley CPA test bank. Many readers asked about test prep comparison, especially Becker vs Wiley. It’s hard to pick because it depends on one’s budget, background and learning style. But then, if I have to compare, Becker test prep software tends to reinforce key concepts covered in their own lecture notes, while Wiley offers more variety with more obscure questions. In fact, Becker students who really want to pass the exam on their first try often get the Wiley CPA test bank as supplement. Few people do it the other way around, because getting Becker as supplement would be too expensive. The application looks very much like the one you will see in the real exam. Given the exam is 100% computerized, I believe it is a must to get a lot of practice on screen vs using pencil and paper. Other providers have software that look pretty much like the real thing too, but you save money by getting the most affordable one from Wiley. Once you place an order, a PIN (a chain of random letters and alphabets) will be emailed to you immediately and you can copy-and-paste the PIN to activate the account. This is much better than the old CD-ROM format with the delivery time and installation. For every study session, the application lets you pick everything from the subtopics to the number of multiple-choice and simulation questions. As long as you are disciplined enough to go through all the topics yourself, it could be a more flexible and less stressful (thus more productive) process for you. The questions are automatically updated on a regular basis. Errors are corrected promptly online. We no longer need to wait for the new version to come out, because the online version is constantly kept up to date. The latest version comes with a lot more features such as view by subjects, by raw score or by percentages, and a number of customization features. A number of other providers have some sort of money-back guarantees. Wiley has none. While this is a limitation, most people don’t seem to mind given it is an affordable investment compared to others. If you are trying to copy the questions onscreen and paste in a Word document, it cannot be done. This creates some inconvenience if you want to show a particular question to a professor or if you want to keep the question for later reference. Solution: use “print-screen” function on your computer. Please note: This is NOT the review book but the Test Bank i.e. the online practice questions. No physical product will be shipped. To get the Wiley CPA exam review books please click here. 1. you mentioned the 2017 version but image is showing 2016. Which version will I be getting? You will always get the latest version. Specifically, you will be given access to whatever Wiley is offering at this time, which of course will be their latest version. It’s 2017 because the 2016 testing window has ended. I know the images are confusing — will update as soon as I get them from Wiley. 2. I just purchased the test bank and realized that it didn’t fit my learning style. I activated the PIN to take a look but didn’t touch any question. Can I get my money back? No, I am afraid not. As soon as you activate the PIN, I pay Wiley on your behalf. They don’t make any refund and therefore I cannot do so to you. Even if you don’t activate the PIN, I cannot offer a refund because there is no way to prove that you didn’t pass the PIN to others. Please understand this is a strict no-refund policy. That’s why I created a video walk-through so you can see what you will be getting from the test bank. 3. I found another place selling the same PIN at a lower price. Can I cancel my order? 4. I just paid… when will you send me the PIN? Please check accordingly. If still can’t find it, shoot me an email and I will fix it for you. 5. I purchased the PIN before things happened and I have to postpone the exam until 2 years later. Will the PIN get expired? It never expires as long as you do NOT activate it. Once activated you have 12 month of access. 6. The end of year is approaching and I suspect there is a newer version of the test bank. How is it updated, and when? The test bank is automatically updated online on a regular basis. You don’t need to worry about the calendar year cut-off for newer versions. Sounds Good. I am Ready to Order! In appreciation of your support, I am giving away this exclusive strategy for multiple choice questions, based on the latest research by William Poundstone. These tips will be sent to you together with the Wiley PIN. As a student who will graduate soon, I believe Wiley Test Bank is great value-for-money because it contains more than 4,300 MC and 160 simulation questions. It is less hassle for me to buy and wait for the book to arrive at my house. It’s like instant buy. Downloading this is more convenient, easier and faster to start on reviewing. The flexible customization would definitely help me because I prefer answering problems in random order. I think this feature is unique compared in reviewing textbooks. I’m still finishing my college and solving accounting problems until now. In our country, we use books or photocopies in reviewing. I answer problems orderly in my books. That’s why having this Wiley CPA Test Bank is unique and an ideal reviewer. I’m glad I can customize my practice sessions based on my needs either online or offline. I’m actually looking around which reviewer should I study. Good thing I read about this on your facebook page. I like the Wiley Testbank mostly because of the ability to do cumulative review of my material and during that process review questions that I have not yet reviewed. It helps me keep what I have studied in past weeks still fresh in my mind and also I can work on weak areas. The new website features are also great. I like that during my last few weeks of review I can do the questions in sets of 30 and be able to get through the whole testbank questions. Also the report provided after taking the cumulative review tests allows me to focus on weak areas. Another reason I use Wiley is that the testbank is because it is reasonably priced. I was not successful when I first took the CPA exam despite the amount of money I spent on other review courses. One of my biggest challenges is overcoming my nerves at the beginning of the exam. I like the fact that the Wiley CPA Test Bank offers features that are similar to what I would see at the Prometric Testing Center. Honestly, I am terrified of the simulations and appreciate that there are a 164 for me to practice in this test bank. I have used other Wiley Review products and found them very helpful when explaining concepts. I learn by practicing and understanding why a question is wrong. The screen shots look very user-friendly opposed to intimidating. I like that fact that I can use it both online and offline. I am an avid user of technical support when things are a little quirky – so this feautre is another plus. However, one of my favorite features is the customization! I love the fact that with a simple click I can tailor the practice sessions based on topic an and the number of questions. I can use the performance analysis to focus in on weakness when I create my own practice sessions based on my needs. As a mother of a very active 3 year old, saving time and money is mandatory. The more efficient I can accomplish something, the better. I see myself quickly creating practice sessions on certain topic areas around his schedule and answering questions during tae kwon do classes. This Wiley CPA Test Bank is a far cry from flashcards and I think that this can really ease my emotions when taking the CPA exam. I am a CPA in the Philippines, and have read the Wiley test bank book before way back when I passed the board exam in 2000. Our reviewers highly recommended reading it and true enough, I passed! I am trying to get my license here in CA and hopefully, this book will work its same magic as it did before. In my quest to obtain the coveted CPA I have reviewed numerous products for the exam review. I am a firm believer in getting feedback from thise who actually use or have used a product. Consequently, I interviewed a number of CPAs in my area (Boston metro area). Of the 10 from whom I obtained feedback 7 had used Wiley to study. (All had taken and passed the CPA exams within the past 5 years). With a 70% user rate and from my own comparisons, Wiley is the way to go. I believe Wiley CPA Review software is a necessary tool in passing the CPA. As I studied and prepared with the Becker on the exam date I felt that I lacked knowledge and didn’t have enough practice with Simulations. I took one section so far – FAR and I don’t know if I passed it, but I have Wiley FAR CPA review (just the book) and after reviewing Wiley Simulations after I took exam I realized this was exactly what I needed. Their problems and simulations are very similar to what you see on your exam date and give you that extra points you might need to successfully pass the CPA. Personally I like the Wiley test bank as it differs greatly from that of Becker given the depth and variety of questions asked all of which are very similar to the type you find in the ‘real’ exam. The same goes with the simulations. Wiley has gone out of its way to incorporate a higher number of simulations addressing the topics covered. The books serve as a ‘stand alone’ course or an important supplement to other highly prized courses. I have attempted other review classes, the only one that has so far kept me motivated is Stephanie’s IPasstheCPAExam. I have had a few setbacks in my studies, but getting Stephaine’s emails has allowed me to re focus. I am positive with Stephaine’s emails and her endorsement of this review program I will pass it in the year 2013. I am studying for CPA from past 2 months and i am ready for Wiley Test bank CD for atleast one suject. I am planning to give the exam in Jan for Reg and think now is the right time for the Test bank to test the subject. Since its the replica of Prometric center test it would help boost my confidence and will be easier to get through it. I am a mom with 2 wonderful kids and trying to shuffle from house chores to studying so this will definetly help me. I just started prepping for the CPA exam, but I do not have access to any study material at this time other than things I find online for free. The Wiley Test Bank would be a huge help. I decided to go for my CPA after spending 2 years looking for work with no success. I am finishing up 3 classes I need, but simply do not have financial resources to spend on exam review material. I’ve looked at Wiley before, and I think the realistic simulations are a great way to study. The flexibility in study schedule, ability to take it online or offline, and the fact that big name review formats use it are all great reasons to have the Wiley set and features I would use. I would love to win this set! Wiley CPA review is easy to read and follow each concept. The practice questions give instant feedback that guide you on why the answer was right or wrong. This is a great tool to write study notes down in an effort to review key concepts verbatim to help you retain the information better. Wiley takes you through the subject module by module in an organized, methodical, and simplified way so you are not overwhelmed with the text and the complexity of the subject. The practice questions reinforce what you have practiced and studied. A feature that I especially like about Wiley is the ability to focus your practice questions or practice quizzes to a specific module so your learning is laser focused and specific. This insures optimal learning capabilities and reinforces each section for the student to feel comfortable before moving on. I love Wiley CPA review and I am glad that I already have AUD and FAR in my library. It is a high quality learning tool and affordable! I have a similar background to Stephanie and graduated with a bachelor’s degree in Finance around 10 years ago and have always worked in a corporate Finance/Accounting department. My current employer strongly recommends that I get my CPA so my hope is to study hard and pass the exam within the next year. I have a crazy schedule with a full time job and a small child so I need a study method I can fit in, in small doses. I plan to combine the Wiley test bank with CPAExcel to maximize my study time. The capability to use Wiley both on and offline will let me get a few questions in here and there when I’m say sitting in class 5 min early or at my daughter’s dance class waiting. The most exciting feature of Wiley to me, is the ability to tailor the program to your needs. All of us have different strengths and weaknesses so its nice to be able to identify your weaker areas using the cumulative review reports and then focus on those areas by customizing the practice sessions to help you prepare for the exam. I also love the fact that Wiley offers simulations comparable to what you will find on the actual CPA exam. I have heard so many rave reviews about how well prepared test takers felt after using Wiley! Can’t wait to get started! Good luck to everyone! I think the Wiley test bank would help me to pass the test because it would help me focus on the areas that I am the weakest. I have used it before for review and it was very helpful. Although I do not plan to take the CPA exam until 2013, I have thoroughly reviewed the major CPA exam review products and Wiley Online Test Bank is among the products I plan to use. The Online Test Bank has a practice mode and an exam mode. Practice mode is where you get immediate feedback after answering a question and exam mode is where you go through all of the questions in the same format as one on the actual CPA exam, and then you get the feedback. Additionally, Online Test Bank has a full practice exam, meaning it has the 3 testlets and simulations within 3 or 4 hours where you can go through the entire exam as if it is the real thing. For those features above, I plan to use Wiley CPA Online Test Bank as a resource to study for the CPA exam. As a candidate that have tried and not passed a couple of the sections after spending a decent amount of money in the big names I believe the Wiley Test bank is a great tool in helping to pass the CPA exam. After failing a few times I came across your web site. I read your study tips and great reviews of the study materials. I would like to say that Becker is a great review course however, it is overpriced, to my opinion, and is not fair that expire and you have to repay full price. From my experience the secret is to put the necessary time and make time for your #1 priority. As Stephanie has stressed out several times the CPA exam is waste but not deep. To this extend and from my experience I think any candidate should spend time in reviewing the materials, text books and do a lot of practice question. The critical thinking is one of the most important points of the CPA. I believe that CPA should be able to make the right decision with the documentation available in the shortest amount of time. I think that is key on what CPA exam board looking for in preparing the test and what makes the practice test so important. At this degree, the Wiley Test Bank is a great tool, if not The Great. The price, ability to use on line and the idea that you could buy one section at the time (one year expiration) are only points to enforce the validity and value of the product. As far for the text books I will say go with the one it does suit your study style best. However, spend some time on reading reviews (Stephanie’s review is a great tool) and go through the books, you can find them in some public libraries or can borrow from friends and family that have them. To look through a review book even it is an old edition will still give you the idea if is a good fit for you. I know people that has passed in the first try studding only on public library review books and on all kind of the review brand names. The material is almost the same, and again the secret is PRACTICE TEST. Whatever you decide to go with get the WILEY TEST BANK. I hope you win it for free from Stephanie’s giveaway. For the rest of us (not so lucky) just buy it. It will be the best investment on your CPA exam preparation. You do not have to be smart to pass CPA exam,but you do have to be a effortless and efficient student, Remember “Practice makes perfect”. Good luck to everyone in the future CPA Exam. I apologize for poor grammar and English language. As you can tell I have a college background fro outside the US and not English speaking education. I immigrated 5 years ago. From my experience the CPA is the most recognized and valuable certification worldwide in the accounting industry. I’m currently working full-time in a very demanding accounting position. My hours are very wacky throughout the month. I’ve used other testing materials where their schedules were set. This is a bit difficult trying to attend their sessions with my sporadic work schedule. Wiley Test Bank appears to be exactly what I need at this point in my life. There is flexibility in when and how I can approach each topic. My mind is pretty much fried at the end of the day so having the option of studying at various hours is great. With the ability to work online or offline is another great option as my commute is about 2.5-3 hours each day. I can definitely use this time to put in some study time on my way to and from work. I love the fact that I wouldn’t be dependent on being connected to the internet to get in my study time. Lastly, if by some chance I do fail a test, I like the fact that I do not have to shell out tons of my hard-earned $$$ to study again. I’d love to try the Wiley Test Bank!! The Wiley Test Bank would help me pass the CPA exam because of the flexibility of allowing students to study on or offline. I normally work full time so I have to study every spare minute and I don’t always have internet access, but I have a laptop. I frequently take my laptop on vacations and places where I have to wait like the doctor’s office. I can load the Wiley Test Bank on my laptop and study while I wait. I also like the fact that there is live chat on Wiley and you can actually ask a person a question. I used Gleim to pass Audit and you can send them questions and wait for a response but I love the fact that you can ask Wiley online while everything is fresh in your mind. You can interact with someone to make sure they understand your question, rather than simply sending them a question in writing and hoping that they understand what you are asking. Wiley tracks your strengths and weaknesses and you can focus in the areas that you are weak so you use your study time efficiently. I am studying for BEC but I just lost my job and I am not sure how I am going to afford the next review, so getting this free test bank would be wonderful! If I do temporary work I can take my laptop to work and study at lunch-love that flexibility. I graduated with a double major in Finance and Accounting 7 years ago and have pretty much worked as a Staff Accountant ever since. Becoming a CPA will greatly enhance my career growth. I recently became a CPA candidate and I’ve been looking for good review courses that will help me pass the exam the first time. I love that the Wiley Test Bank has so many questions and simulations; this would help me to get plenty of practice for the exam. I grasp concepts well when I put them to practice. Another feature I love is that the test bank replicates the actual testing environment. This would allow me to become more comfortable with the exam format and be less nervous on test day. Another great feature they have is the performance analysis report. Being able to get feedback on performance and areas of weakness would be invaluable to me. It would help me to spend more time on areas that I don’t perform well in. Wiley has great reviews, a high pass rate, and is clearly one of the best CPA review courses available. I absolutely like that it is easy to use and can also be downloaded for offline use. I have 3 kids so I try to make the most of every minute in my day, so having Wiley on the go would help me get as many questions done each day as possible. I also like that you can read notes on the subject right there on the test bank. I have never used Wiley Test Bank before. But I have often used Wiley Text Book when I was in college. They are very good tools to help me understand the subject I studied. I am sure this Wiley Test Bank will help me a lot in my CPA exam. I heard they are good in explaining the concepts and they have very good sample questions. Cannot wait to win this! Thanks! 5. Set a time of 2 Hours and take as many pop up quiz as possible as revision on daily basis with incremental modules. 6. Since the test bank is more like the actual format of CPA exam, there was no surprise during the exam. 7. When I have attempted all the MCQ from different modules. I can take the aggregate for all modules and see performance and look at areas of improvement. I am a Psychology major who just graduated from college. Starting from junior year, I decided I want to become a CPA. I wanted to be able to provide my family with financial stability after seeing the stress my family went through when my mom passed away following by my dad’s unemployment during my sophomore year. I wasn’t able to get into the accounting minor at my school but I took an equivalent amount of accounting classes and I enjoyed them. Indeed, the knowledge I gained is very practical and I found the learning process very rewarding. Right now, I am finishing up my last few online classes at Santa Monica college and getting ready to take the CPA exam. I cannot afford taking any review classes. As I read Stephanie’s review on CPA review materials, I found out that Wiley CPA Review is a great substitute for costly review classes for my situation. I ordered two volumes of Wiley CPA Review 2012 for Auditing & Attestation and Business Environment & Concepts with the $100 Amazon gift card I received as a graduation gift. I started studying on October 1st and planning to take the exam in February. I found that the explanation of the concepts in Wiley CPA Review is clear and easy to comprehend. Furthermore, It is very helpful to do the practice questions at the end of each review topics. However, for each topic, the prep book only offers 30-45 questions. Yet, winning the test bank means that I will have more chance to practice and passing the CPA exam. What I like about the test bank is that it allows me to practice in a format that is similar to that of the setting in the test center. With the prep book I have, I am only able to practice in paper format. I also use the free CPA review website (http://cpareviewforfree.com). It is a great resource to get more practice. However, it is not in a format similar to that of the CPA exam and it does not provide detailed feedback. Another great function of the test bank is its customization. As I am taking 5 online classes this semester, searching for a full time job, working part time and taking care of my family, being able to customize the practice session by number of questions is very useful. I can tailored the length of the practice session based on my available time. That will motivate to study even if I have only 30 minutes. I believe that the test bank would be a great resource for my CPA preparation and will greatly increase my chance of passing. I have the e-book on my iPad and I love it. It really isn’t overwhelming if you follow the study guide at the beginning and work the questions as suggested in bite size pieces. I believe that it’s a great value. I came across your website while researching about the CPA exam back in 2008 after completing my BSBA-Accounting. Since then I have been sidetracked with work and moving with the family to California. The unemployment situation here in California had me looking again at getting back on the CPA track to distinguish myself from the crowd (and it is a large competitive crowd) and increase my chances of working again. I must admit, the free test bank giveaway got my attention again. I am glad that you have my email in your contact list. 1. The test bank will be a good start to get back on the CPA track because it is a quick way of assessing how much of the subject matter you have retained after a long absence and the explanations are a click away. 2. It is online and can be accessed anywhere. 3. It is updated regularly eliminating the concern that some material may be obsolete. This option is good because some do need more than a year to review and test. 4. It mirrors the real test so there won’t be any surprises when you sit for the exams. One question, will the explanations on the test bank refer to an online text book on the subject? That is all I can comment for now. Wiley is a proven resource material. 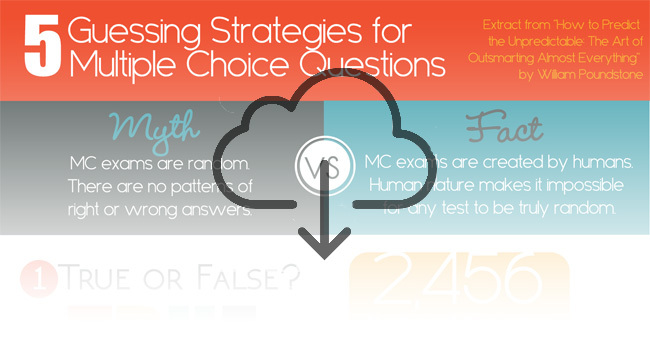 The texts are reliable and multiple choice questions provide a good simulation for exams. Wiley on-line will surely contribute to my success in my CPA journey! I consider myself a determined CPA candidate. I have tried various states and unfortunately was found delinquent in my educational requirements, one of which changed the requirements while I was already registered and preparing to sit exams. During this time, I found myself in quite a dilemna. I had to sit all four sections of the CPA exams in order to still meet the educational requirements by July 31, 2012. I had only four months in which to accomplish this mountain of a task. Needless to say, I was not able to complete this because of life’s obstacles. I decided to sit one exam with the hope of obtaining a transfer to another state. The particular section in which I decided to take was one I was least familiar and less prepared….Regulations. I had 3 weeks in which to prepare for this exam but I had a great assistant….Wiley Test Bank 2011. I resorted to completing specific topic exams and reviewing the incorrect answers to help me in preparing for Regulations. Although I failed the exam because of lack of preparation, I scored 63% which I thought was great because being an International candidate, I knew nothing of US taxation but with the help of Wiley Test Bank, I received a grading that was unexpected. The results showed that the areas I failed in were those areas I paid little attention to while using the test bank, i.e., I did not complete testing in these areas..my thoughts are that, if I had, using Wiley, I would have scored the required 75%. Wiley Test Bank offers the opportunity to become familiar with the examination, it replicates the actual examination which I believe lessens the anxiety when you actually sit the exam because you become accustomed to using the system. The test bank includes both mulitple choice and simulation questions which allows you to test yourself to identify your weak areas and then work on them. Specifically, you can make a test for a specific topic to help strengthen your abilities on that area. The system is user friendly and easy to operate. You are able to check your progress because your previous test results are stored and viewable on the home screen. When in study mode, you can immediately see the correct response to an incorrect answer and it provides the explanation which helps greatly in your study sessions. Being CPA determined, I will definately continue to use the Wiley Test Bank, however outdated…it helped. Wiley is not as expensive as other products and it offers value for money. Living in Jamaica this is an important aspect when considering the rate of exchange. I would definately recommend this product to all my CPA colleagues and indeed I have. I am now registered with another state and preparing to take Regulations again in February 2013, but have decided to allow Wiley to select the questions and I am certain this is my ticket to success. Now… ,if only I can get a 2012 version. hi Stephanie and hello to everyone out there who is working hard through their way to pass CPA. I am a candidate from China, and learning 10 hours a day here in Japan. I was so determined in this exam that I quited my job as a IT engineer for 2 years. I want a change in my life an look for something I really enjoy. Here in Japan, it is too difficult to get other materials to study. So I bought the Wiley exam review. Some say Wiley is too much volume for one to read. I couldn’t agree more. It is far from compact and concise as other study materials like Becker. But it is somehow perfect for learners of less accounting background. Beginner like me, I don’t have any knowledge in accounting. Besides learning basics, Wiley provides explanations of knowledge points with easy-to-understand-langauge and detailed explanations to every after-class questions. Wiley will be also a great reference even after I pass the exams. With its dictionary-style layout, it is convenient for me to refer to whatever questions I have pertaining to basic accounting. So Wiley is good for my learning style. But to pass the exams, I need those Test Banks because it is necessary to work with my Wiley review books. and it is perfect to put those knowledge learned into real practice by practicing the wide variety of exam problems (over 4000 and more would be updated) over and over again and learn to solve them really fast. By using the Test Bank Software, it would definitely help me to pass the exams in the shortest time span, which is on the top of my to-do list. So if you happen to a beginner in accounting like me, if passing CPA as soon as possible happens to be your top priority, choose Wiley books and also choose Wiley Test Banks to work along with. It will serve you right. I sincerely hope we, as candidates all finish this huge task of CPA and go back to our normal life and start our new journey. My answer is simple: being a typical over achiever I want the best study materials and mentors behind me on this journey, and from my research that’s Wiley! I just completed my MBA in Sustainable Business last March and am currently working on an Accounting Cert to qualify for the CPA exam. I would love to win this and help companies improve their triple bottom line! Having being away from school for a solid 10 years, the thought of studying for another examination, particularly the CPA which has a passing grade of 75% is daunting. The ability to allot study time among the multitude of tasks involving job, bringing up kids, and household chores is indeed the work of someone with strong nerves. The tools to facilitate the accomplishment of such tasks are equally important. Here is where the Wiley CPA Review Online Test Bank comes into the picture! The Wiley CPA Review Online Test Bank (i.e. Practice Questions in Computerized Format, via online access cpatestbank.com) is a must have product because it provides the added confidence of being well prepared before entering the prometric test center. The added confidence is in fact half the battle won because you will not be a nervous wreck to forget what you have studied earlier. An analogy of having a dessert after a meal, giving you the added completeness to the meal could best describe the scenario. 1. The hassle-free and user-friendly feature of just copy-and-paste the PIN to activate the account is great. For those with young kids at home, this feature speaks volume. Just imagine the huge hassle of having the young curious minds enthusiastically wanting to help mommy with the CD-ROM insert/eject tasks till curiosity will kill a cat! Of course, not forgetting the hassle of waiting for delivery, this is generally one week for domestic U.S. delivery. 2. The Wiley CPA Review Online Test Bank is very popular because of the reputable quality of Wiley books for accounting, business, and many other subjects; and the Wiley CPA Exam Review is the number1 selling preparatory book for the CPA exam. 4. The Wiley CPA Review Online Test Bank replicates the CPA computerized exam format but at a more affordable price compared to other CPA Review providers. The Wiley CPA Review Online Test Bank retailed at $299.00 with varying discounts depending on the size of bulk purchases from resellers; incidentally Stephanie Ng of ipassthecpaexam.com has the best offer in the market. 5. The Front Page – you will see the 4 parts of the exam (for the complete set purchased), each with a practice session, a pop quiz, and a test. There is also the technical support link. In the customer care page, there is FAQs, ask a specific question yourself, live chat with a Wiley’s staff, and a tab to log all your previous questions. 6. There is the Online or Offline feature for you to study and track your learning progress. The online feature is the one-year subscription with updates and online reporting on your learning progress upon purchase. The offline feature is for you to download from their download center so that you could work offline even after the one-year expiry but without updates and online reporting on your learning progress. Frankly, things should work out alright and you don’t need it after the one-year expiry; should unfortunately, things not working in your favor, the consolation is that you can use it after the one-year expiry. 7. Customization and flexibility in the Practice Session is one of the best features of the Wiley CPA Review Online Test Bank which suits my learning style and those who can allot at most, half-hour session of distraction free studying (usually split into several sessions of less than 10 minutes) during the waking hours when the children are watching their favorite cartoons. 8. Generally, working adults with young children usually sacrifice their sleeping hours for distraction free studying in the wee hours of early morning. For the customized and flexible Practice Session, you can pick the number of modules or subtopics, MC questions, and SIMs to study. Every correct and incorrect answer has explanation for better understanding. The tabs on the right, the note book tab for text link – detailed explanation for the topic covered in this particular question; the light bulb tab for hint to help you to answer the question; and the calculator tab which is useful to know how this calculator works before the actual exam. 9. Customization and flexibility in the Practice Session is very helpful to understanding the questions without much of an overload to digest lots of material in order to answer the questions. Rote learning will help initially but with detailed explanation for every correct and incorrect answer it will improve productivity, and make learning less stressful too. 10. Simulation Questions – there are different tabs for SIMs. The first “Depreciation Schedule” tab is where you need to input the answers, in the boxes highlighted in orange. The second “Authoritative Literature” tab contains the reference material that you will also be getting in the actual exam. The third “Help” tab shows you how the simulation tabs work. The last “Resource” tab is any extra supplementary information. Since this is a question on Present Value, a PV table is provided. To be good in answering SIMs, a lot of practice is needed; there is just no shortcut. 11. Performance Analysis – to keep track of your learning progress by subjects, by raw score, by percentages. In the first “My Assessment” page, the software is tracking my study progress. In the second “My Report” page it shows my studying topics’ strength and weakness. The third “Incorrect Questions” page shows which particular questions that I have done wrongly that need further practice. Finally, in the “Download Center” I will be able to download the test bank application and use it offline. i)	The No Money-back Guarantee – though is a limitation but frankly, I have yet to see complaint online about the no money-back guarantee; unfortunately, a few on the technical hitches which were resolved eventually. ii)	Copying-And-Pasting Not Allowed Onscreen – the work around method will be using the little red flag on the screen to bookmark the question for easy identification later. In conclusion, the above features of the Wiley CPA Review Online Test Bank are catered for the busy CPA candidates where studying time is limited, and it’s a system where the focused information is tailored to fit into a time constrained learning framework. Currently I’m finishing up my senior year in college, after which I plan to study for the CPA exam. However, I don’t know where to start. I’ve heard that Wiley CPA Review is an effective program and a great value for your money, especially when you’re on a budget like me. It provides great features without having to pay thousands of dollars, unlike for other CPA review programs. What I especially like about the Wiley Test Bank is that it is in the same format as the CPA exam. This way, there will be no surprises on the day of the test, and you will be used to the setup. I also like the feature where you can track your progress and find out which topic you need to focus on more. Lastly, I like the fact that it is online and that you can customize it to reflect your busy schedule. This feature is especially useful when you’re a full time student and working part-time, like I am. I look forward to winning this Wiley CPA Test Bank, and get a great start to my CPA exam studying process. Thank you. I was I advised that the shortcut for passing CPA is to study from the MCQs and Simulations Directly . when I was looking for the most comprehensive CPA test bank the answer was clear ” Wiley ” . I’m Accounting senior undergraduate student in University of Bahrain, who’s going to graduate this semester, if god wills. What to do next is very challenging issue, because I’m graduating in 3.5 years, I have kind of “gap” which should be invested in something great, which I chose to be studying for CPA examination. CPA’s certificate is one of the most challenging non-academic certificate in business field because of its high requirements. But why I chose CPA? Why just after graduation? Currently, I can still remember some of what I studied in the previous years and I’m still in college environment of studying, so it’s easy for me to focus on studying, as it is still a habit for me. CPA certificate is going to make me unique compared to other accounting graduates, as I’m graduating from the best university in Bahrain, if god’s will. Other reason is that I can take the test locally, which makes it an attractive opportunity. Thank god that I live in a country where I can have the test without need to travel somewhere else. But registration and exam fees are approximately $2600. Family is going to finance those fees, thank god. What about material and lectures, shall I go for Becker? Or maybe Yeager? I stopped their because of the budget, I don’t have an open budget. So, I chose to go for Wiley CPA Exam Review. Why Wiley CPA Exam Review? Straight forward answer, it’s the cheapest. Wiley CPA Exam Review is one of best material written because of their accumulated experience in publishing textbooks. It’s comprehensive, which would be as one stop revision source. But what might be different is that I may purchase Wiley books in PDF format so I can access them using the iPad, that would make studying easier for me because of increased portability. And because the textbooks are not enough to pass the test, I added CPA Test Bank to the combination. Why Wiley CPA Test Bank? The secret behind how to pass CPA examination is how well you are prepared for it. First thing is time, the more time you give to studying the better, but learning the proper strategy for each part and how to utilize the time as best as possible is what gives the upper edge. How could someone recommend to go for 4-hours exam without at least being familiar with it. So it’s a must, in my opinion, to have software that can simulate the exam software, even if partially. CPA Test Bank would be a good choice compared to expensive competitors and good for limited budget. Online feature is the best as you can access the site anywhere, you don’t have to be on the computer where the software is installed. The reports produced by the software is very important for self assessment. What I really think Wiley should do is to include their iPhone/iPad application as complementary to the subscription. If god wills, I’m going to start studying as soon as I finish final exams, which would be in mid-January. I will have to do an internship for 2 months as a requirement for graduation, after that I will have approximately 4 months to study the four parts of CPA examination. I’m going to use only books (or actually ebooks since I’m planing to have them in the iPad) and software for preparation, and yes, no lectures! I think Wiley books would be enough as most of the material is just revision for what I have taken in the university. What if I didn’t understand a point? I might ask for help from my accounting professors, I still didn’t agree with anyone, but I hope to do it soon, if god wills. I may take all parts on August with some gap between them since I’m going to take them locally, if god wills. Lets say I didn’t succeed in one of the part, I will take it on November, my goal is to finish all parts at most in 6 months. I don’t know, since I have a lot of choices, it won’t be easy to choose between them because I haven’t decided what to do in my life. But, if I chose very traditional way, that might be working at one of big four as an auditor while studying for masters degree. I did not have much luck passing the CPA exam the first time around. I went with Becker and it wasn’t a great help. Right now I’m studying by myself with the Wiley text books brought on amazon.com. Needless to say I need something that will track my progress and help me to evaluate my strength and weaknesses better. I believe the Wiley Test Bank would be great for me because it will help me to grade myself. Also there would be a greater chance of reviewing and understanding the concepts. In addition, with my work schedule, studying offline and having more practice questions will help me keep sane and on schedule. Also, the fact that the test bank simulates the actual testing conditions is a great plus. When I took the exam previously the time went away from me; with the test bank I believe I could time myself better and organize myself where the test doesn’t get the better of me. The reason why I feel that the Wiley Review Test Bank will help me to pass the CPA Exam is that I recently purchased the FAR test bank and it has been a great refresher for me. By take the quizzes and the practice question along with the simulations have really helped me to identify the areas that I need to reivew the most. Another important factor is the test bank can be accessed via the internet which gives me 24/7 access with greater flexibility in my study time. I am writing this of course in order to win the complete Wiely test bank however in event I do not win the contest I would still recommend Wiley and I will definitely be purchasing the other Test banks in the future because I definitely feel the Wiley test bank along with the course text is going to give me a much better chance of passing the exam than I would have with just the test alone. Thank you so much for this great opportunity to win an invaluable tool to aid in my quest to pass the CPA Exam the first time! My name is Donna, and I am a mere eight weeks away from completing my Master’s of Science Degree in Accounting. I actually never really thought I would be interested in accounting. I obtained my Bachelor’s Degree in Elementary Education way back when and taught for a few years. My husband moved around for his job (with me in tow), and after our first move I never got back into teaching. I’ve been in administrative roles for the last fifteen years and ended up doing some financial work in city government. I decided to utilize the city’s educational assistance program to pursue my Master’s Degree and decided that accounting seemed interesting (go figure…I usually get blank stares or comments like “Wow…better you than me….I could never be an accountant”). While I’m not certain where my hat will hang after I get my degree, I do know that the sky is the limit if I am able to get my CPA license. I’ll be 44 this November, so I am anxious to get on the career ladder. With that being the case, my goal is to have all four sections of the exam passed successfully by the end of 2013. After reading your reviews of the top ten CPA exam review programs as well as the in-depth walk-through, I was really impressed with the Wiley Test Bank. I haven’t finalized my plan, but I know that Wiley will definitely be part of my comprehensive study plan. I think the fact that both the Roger and Yaeger programs utilize Wiley as part of the program speaks volumes. The Wiley program simulates the CPA Exam, which is exactly what I need to help me anticipate the intricacies of the exam. I do not like surprises and like to be prepared for what’s in front of me. It sounds like the Wiley Test Bank is exactly what I need to be successful the first time on the actual CPA exam. Besides preparing me for the format and timing of the test, Wiley will allow me to gain valuable practice on the types of questions on the test itself. If I am unsuccessful on a question, Wiley provides a detailed explanation of how the correct answer was obtained. These features of the test bank are, again, exactly what will help me be successful on the test. Thanks again for the opportunity to try and win this great tool!! I am in a mid-life career switch after having been in the marketing industry for the last 12 years. My goal is to take the CPA exam next year, and I am pleased to have stumbled upon your site while researching on the CPA review courses, and test banks. Your site has the most comprehensive information ranging from transcript evaluation to CPA review courses, and test banks available in the market for U.S. and international CPA candidates. It’s a remarkable piece of work to have all the things relating to CPA within one site! In fact, ever since my discovery of your site, I will first look at your site whenever I need information relating to CPA; the other sites have become supplementary for me. The Wiley CPA Review Online Test Bank (Practice Questions in Computerized Format, via online access cpatestbank.com) is backed by the reputable quality of Wiley books, particularly the Wiley CPA Exam Review is the number1 selling preparatory book for the CPA exam. Incidentally, Roger, and Yaeger CPA review courses also use Wiley CPA Exam Review as their supporting materials. The Wiley CPA Review Online Test Bank is hassle-free and user-friendly. It’s PIN activated, and could be used instantly without the wait for delivery and installation. It’s also replicates actual testing environment. The Wiley CPA Review Online Test Bank is priced competitively to other CPA review courses. It’s retailed at $299.00. The ipassthecpaexam.com has the best offer with good discount in the market to date. In fact, I could not find other resellers selling at discounts! The Wiley CPA Review Online Test Bank’s Front Page has a practice session, a pop quiz, and a test. There is also the technical support link; and a customer care page for FAQs, to answer your specific questions, live chat with a Wiley’s staff, and a tab to log all your previous questions. One unique feature of the Wiley CPA Review Online Test Bank is the customization and flexibility in the practice session. This feature definitely will suit my learning style; and those whose time constraint could only allot lapses of short time duration because of demands of family life once back home from the office. You can pick the number of modules, MC questions, and SIMs for every particular study session. Every correct and incorrect answer has explanation so that you will be clear, and understand the concept as to why it’s correct or incorrect. There is the note book tab for text link to further explain the topic covered for the particular question; the electric light bulb tab for hint to help you to answer; and the calculator tab will let you practice how it works before the actual exam. The Wiley CPA Review Online Test Bank’s simulation questions are useful for me because I find simulation questions quite intimidating for me. I could practice more frequently at my own pace to overcome the fear. There are different tabs for SIMs. The first “Depreciation Schedule” tab is where you need to input the answers. The second “Authoritative Literature” tab contains the reference material. The third “Help” tab shows you how the simulation tabs work. The last “Resource” tab is for supplementary information. In this case, it’s a question on Present Value, hence a PV table is provided. Additionally, there is little red flag on the screen for easy identification so that you could get back for further practice. The Online or Offline feature for you to study and track your learning progress. The online feature comes with quarterly updates, and online reporting on your learning progress. You could download the test bank to study offline, during and after the one-year expiry, but without quarterly updates, and online progress reporting after expiry. The performance analysis keeps track of your learning progress. You will know where your strengths and weaknesses. The “Incorrect Questions” page shows which particular questions that you have done wrongly. This is very important because you could further practice to reduce the number of errors, and it could be helping tremendously to scale above the 75% passing grade. I am glad that I have come to learn more about the Wiley CPA Review Online Test Bank from Stephanie Ng’s review, and will be glad to recommend it to my contemporaries who are also interested in CPA review test bank(s) as an excellent “add-on” tool to back-up the main CPA review course. Is always good to be well prepared with more tools; and the Wiley CPA Review Online Test Bank could serve as a refresher tool because of its conciseness, probably hours before the actual exam! Thanks for doing this giveaway, I think the extent of CPA information and resources that you have passed on to CPA candidates around the world has been stressed upon before much more eloquently by many others. But this won’t stop me from saying “Thank you ever so much!”. Your tireless and active participation through your website, forum and several other platforms is truly inspirational and saves countless CPA aspirants valuable time and money. I am a new mother with less than a year’s worth of work experience. I was laid off earlier this year during my maternity break because the company was down-sizing. I had no benefits as an employee with less than 2 years in the company. I have a management degree but now that I have no work experience and a two year maternity gap on my resume I am finding it incredibly hard to get back to the workforce. Being a stay at home mother is wonderful but it scares me to think of how I will never have a career or any sort of intellectual stimulation because of my hasty choices. Studying for a tough exam like the CPA has given me a new lease for life, hope for a brighter future. And your blog has been a huge part of my decision to become a CPA. I am an international aspirant, non-accounting major with no accounting experience. I want to do the CPA so that I can further my career aspirations of working in the financial services industry. To start with I tried googling CPA only to receive a completely useless AICPA portal with inaccessible information on which state to pick. I took a while to figure out that I had to pick a state to write the exam. Thanks to your website I was able to figure out not only which state to pick but also the cost of the entire CPA program. I was able to figure out whether I could commit the time and money it typically costs for someone like me to pass the exams. I was also able to decide on the right course provider for me based on your reviews, something on which I would have otherwise spent months comparing. Thanks to your website I decided to take the exams, and use Wiley as my exclusive course provider as this is the only course that provides all the information I need and also it works out for my budget. Also as I see it the other providers are all using Wiley as the basis for their courses so I can’t go wrong in using their material. Having said that my biggest concern with the Wiley textbooks has been that it is difficult to get through the material. I am good with note taking but as someone with no accounting knowledge I am struggling with them to be frank. With a young child at home I can only manage to steal those precious few hours each day when baby is napping to complete this mammoth task of deciphering the language and then transferring them to notes on my computer. I have managed to get through one module of AUD in a month. At this rate I am rapidly losing hope and getting stressed about how I will ever complete studying for all four exams and when will I find that elusive job. To answer your question I can think of more than one way in which the Wiley testbank would be useful for my studies and in extension my life. The Wiley Test bank with 4300 MCQs and 160 simulation questions sounds like a dream-come-true solution to my problems because I can simply practice these questions and read the attached solutions and then proceed to studying the more detailed notes in the Review books. Something like a top-down approach. I believe this will be amazing for me because I can complete my studies quicker and much more effectively. Also the fact that I can read this on my computer both online and offline is great because at the moment I am studying from print textbooks and taking notes on my laptop while browsing the net for additional explanation. The entire system is so bulky and clumsy to manage as compared to the testbank which would be one neat and organized solution on your computer. Another amazing point that you noted in your pros and that is also applicable to me is that this testbank has a flexible schedule, something I missed on CPAexcel’s free trial. I believe this will help me completely review a section or review parts of it and move on to others as I wish- just like I would if the test bank were available in print. The system also helps you track progress, something that would motivate and encourage me to do my best. Lastly if the testbank gives me the actual feel of Prometic testing above all of this I cannot think of why I wouldn’t get this software other than the fact that I don’t have the $229 one needs to buy this. Thanks for doing this giveaway though, I really wanted to comment on your blog and say thanks for ages. Hope you continue to inspire thousands more women like myself. I got my bachelors but went back to school afterward to to study Accounting, while working full time. Once I did that I went straight into a live review course, I was determined! Every Saturday for 5 years was occupied with class, studying. Finally I took an exam and was crushed! I had not passed after all that hard work. Years went by, where I got too busy.- traveling, most recently traveling the world for work. A day on a plane, and working the next day. Now I was training others- I realized we are all different-some of us require interaction, others visual. Then I lost my job- now I have the time to really work at this-there is no excuse! Not to mention, I am competing against other CPA’s. This would be such a benefit to me – my professor gave me a dollar when I was in school- he said when you attain that goal I want you to return it. I want to do that this year, no I will with the Wiley Test bank. Its been awhile since i last took my CPA exam in my home country and i have always been using Wiley. It was not a successful one on the first try coz i maybe over confident and i was already accepted in my dream company. I have taken some other Certificate Programs using Gleims and enrolling in review courses offered locally. But still, Wiley gives the wide range of review materials. Few years back i bought my bible-WIley IFRS Policies and Procedures by Epstein, and they always praise me for all the information I am sharing during our meetings. Thanks to Wiley.Very informative and simple to understand. I still remember back then we just have the paperbacks, but now i get more excited using it because it offers wide range of media to use the reviewer. I hope i can get the new CPA exam reviewer as currently i am relying on Freebies of the Exam review websites or popquizzes sent to me. SInce we can sit in Middle East for the US CPA exam. I wish i could start doing the review already to get better job offers and chance of promotions at work. Since beginning my journey to become a CPA, I have used only Becker and unfortunately I have not been successful as I have yet to pass apart despite putting in a lot of time and effort. I am excited about that idea of having the opportunity to use the Wiley Test Bank. I like the fact that I do not have to wait for a disc to be mailed to me. This would work well for me as I am scheduled to take another part of the exam next month. I love the fact that you can still access the online bank after the year is completed! Becker access only continues for 18 months and you must pay additional money to purchase new software. I actually have only a month left on my Becker materials and it would be great to have the Wiley Test Bank. Last but not least, the price of the Wiley Test bank is amazing! Only $299 which is just a fraction of the cost of Becker. The fact that you are offering this for free is truly amazing! Overall, I’m just excited about the opportunity to have the Wiley Test Bank in my hands. P.S. Your website is great! Very informative. I used the Wiley system to study for my first section of the CPA exam, FAR. The online test bank was especially helpful in getting me prepared for the computer based exam. You can do pencil and paper multiple choice and simulations all day but without the functionality of the online test bank it is difficult to be successful on test day. It really helps to prepare you for the arduous task of sitting at a computer for a four hour exam. My favorite feature of the online test bank is the “My Reports” tab where you can review practice sessions that you have completed. It enables you to look back at questions that you answered incorrectly and understand why you got it wrong. You can also bookmark questions during practice sessions that you are not familiar with, much like the functionality of the exam, and return to it at a later time. The progress report feature is also very helpful because you are able to look at your performance in every topic that was practiced and it helps you to analyze the areas that you need work on. I am currently studying for the Auditing section of the CPA exam and I hope to continue to use the online test back as it was an integral part in helping me pass the FAR section of the CPA exam. In my first semester of Grad school, I am beginning to weigh my options of CPA Exam Review kits. Before even looking into any, the name of Wiley was at the top of my list. Not only is Wiley a very reputable brand, but I have personally used many Wiley books all through undergrad years, for many different assignments/ projects/ research. The greatest benefit of the Wiley giveaway (that I REALLY hope to win) is the unlimited work time for the questions, and availability. What is mean is in reference to your statement, “you can keep working on these questions after your 1-year access is over, without extra charge.” I personally am in Grad school part time, work for a CPA full time, and also tutor local high school students a few times a week. For this reason, my plan is to use the allowed 18 months to sit for the entire exam. I plan to study, study, study, take a section of the exam, and then when finished begin on the next subject. Every other CPA Exam Review that I have come across, states that the testing and online reviews comes with a one year access. This will result in needing to buy access twice, as I won’t be able to finish in one year. To be completely honest, I am nervous! The CPA that I work for has explained how difficult this exam is, and through research I have found the passing rates do not make me feel confident. I need a well designed and structured content that can help me get past my nerves. Wiley has always been written in a form that I understand, easily. I know that I have the determination, discipline, and want to pass the exam the first time, and I would LOVE for the Wiley test bank to ease this process for me! My determination to get the CPA professional certification is stronger now than ever before because during times of economic difficulties, most job advertisements for a decent paying Accounting post ask for CPA designation besides the usual college Accounting degree, and work experience. This is a catch-22 because you are in a dilemma. You will have difficulties looking for an accounting job because you lack the CPA designation even you are an Accounting graduate; then you will also not able to have the work experience. The Wiley CPA Review Online Test Bank’s Practice Session, Pop Quiz, and Take a Test are customized to suit your learning style based on your study criteria for any session. You could select the number of modules or topics, MCQs, SIMs, and the times you’ve seen specific questions. The Take a Test functionality simulates an actual exam – the computer format and the time you have taken to do the test. This feature is a confidence builder that helps me (and others) in the actual exam because I have literally walk-through the exam process countless times depending on the number of times I have “Take a Test”. The Wiley CPA Review Online Test Bank uses actual exam questions released by the AICPA and a unique method to match question strength and topic frequency to ensure what you practice correlates closely to what’s on the exam. If questions are too hard, you could over-practice and lose confidence. Too easy, and you would be unprepared. This is matching practice sessions to CPA exams! The Wiley CPA Review Online Test Bank is also backed by the reputable Wiley CPA Exam Review which is the #1 selling preparatory book, and other Wiley CPA books. Roger, and Yaeger CPA Review Courses use Wiley CPA books too. As of June 2012 a new Offline Player has been added via a “Download Center” in CPATestBank.com to facilitate updated, online content plus the ability to use the Test Bank on your PC or Mac offline without an internet connection. This is excellent because you could study whenever, wherever, whichever depending on your time schedule. Your learning progress is tracked by topic, and which topics have reached passing threshold. Students can customize reports by including/excluding saved sessions. Progress reports can be filtered by subject, viewed as raw score or percentages and correct/incorrect answers. Other features that are helpful for your learning process are creating unlimited custom practice sessions and tests; question order is randomized to prevent memorization so that you must understand the concept to get the correct answer each time; text Links and hint buttons on every MCQ to give you a better understanding of the concept; and explanation of correct answers on every MCQ, even the incorrect answers will be explained as to why they are incorrect. The Wiley CPA Review Online Test Bank’s SIMs provide a detailed step-by-step approach on how to go about solving the SIMS. SIMs need lots of practice to get the confidence to handle the problem solving, otherwise it’s pretty intimidating! There are different tabs – the “Depreciation Schedule” tab is where you need to input the answers, in the highlighted boxes; next, the “Authoritative Literature” tab contains the reference material that you will be getting in the actual exam, and follows by the “Help” tab to show you how the simulation tabs work. And the last “Resource” tab is any extra information that you may need. As this is a question on Present Value, a PV table is provided. Though there is a minor hiccup in that there isn’t any copy-and-paste feature for the text document which could be quite inconvenient; however, a work-around method is to use the little red flag on the screen for easy identification when you need to get back for further practice. The richly-packed features of Wiley CPA Review Online Test Bank, retailing at $299.00 are indeed good value for money. Other competitive CPA Review Test Banks are retailed at higher prices; and do not allow download after the subscription expired, in fact you will have to top-up the subscription fees should you want to use them again. The Wiley CPA Review Online Test Bank is a concise test bank that has the required information, not too much of an over-load or too little to render it worthless, cleverly targeted for successful attempt of the CPA exam! Every time I read about CPA success stories, I mostly always see the same thing. “I used XYZ review material, but I supplemented with Wiley. ” It seems that Wiley is the common factor that most successful CPA students used to pass the exam. I am on my 3rd exam and I have not seen a passing score yet. I am hoping that by using the Wiley CPA Test bank, I can see a passing score and add to the Wiley CPA success rate. I believe there is a direct correlation to the number of MCQs one subjects themselves to, and the score they earn on score release day. Repetition is the key to success. I find the Wiley test bank study option to be the most useful. By referencing the material, right then and there, it really makes my study time efficient. This is especially important as a single mom trying to pass the CPA 8 years after finishing college. I would put the investment you’ve made to great use. Thanks for your consideration! I didn’t actually even think about using Wiley as my review tool for the CPA exam. However, your giveaway popped up on my Facebook news feed, I clicked on the links and saw the screenshots of your Wiley CPA Test Bank: Walkthrough. And just like that, I was hooked! Looking at the screenshots, I wanted to start the Test Bank right away. It looked so easy to navigate and, in a very odd high-stress-level-exam-studying-mode, refreshing to the eyes. Going through 4300 MC questions and 164 simulations never seemed so exciting and promising. And yes, I mean that. There’s really no sarcasm here. This is my Can Pass Attitude! Every question comes with an explanation. After reading through the screen shot with the Text Link dialogue box open, I deduce that Wiley is fairly easy to read and all inclusive of the facts you need to know at the same time. You can also track your progress with performance analysis. This is something that will allow me to see how I can further customize my text bank in order to practice areas I need to work on. I think that’s pretty neat because the features work hand and hand and it makes it easier for me, the reviewer to push through with studying. I have struggled the most with simulations and I have tried several review courses, to no avail. The Wiley Test Bank can help me pass the exam because it has, by far, the best practice simulations. The Wiley Test Bank also features a nicely replicated exam experience, which is helpful when you want to feel as if you are practicing for the real thing. I know that the Wiley Test Bank will finally get me over this hump. If you are reading this and you are struggling, know that the test bank can get you over that hump as well. Happy Studying! And Good Luck! I have a very demanding work schedule along with being a single mother to three kids that are very active. Spending time sitting in a classroom to watch a video has not been the most effective way for me to study given my extreme time constraints. I used Wiley a couple of years ago and actually passed a couple parts of the exam. I really wished for a test bank of questions via a computer then! My studying would have probably gone much quicker. Life got in the way and I ended up losing the credit for the two parts that I passed. Therefore, after 10 years of half way trying, I want this to be my final time at passing the exam. I feel that the test bank of questions that is now offered by Wiley will be what gets me there. Once again, thank you for offering a great giveaway to your followers and helping our collective group towards that one goal we all share, the CPA license. Again, my goal now that I am back in the work force and trying to save some money is to pass the CPA exam so I can earn more money and benefit my family. I am still striving at getting the CPA license passed and achieving my MBA/CPA goal. Winning a contest like this will help spur me on to bigger/better/greater things. Winning can be contagious and that’s a disease I want. At the end of the day, I know that a study bank and hours of repetition, hard work, blood, sweat, and tears are all going to be needed for me to pass this exam. I believe this Wiley Test Bank is exactly the kind of tool that I can use to get my winning end of 2012 and early 2013 underway. Plus, having to now sit to be a registered tax return preparer, this study format can also be a valuable tool towards passing that exam while I work towards the CPA license. Again, I want to thank you for another free giveaway. I hope that this will help with your exposure as a licensed seller of Wiley products. thank you for your support toward my CPA license! Your website containing great information for CPA candidates to gain a better perspective on how to prepare, what reviews to use as well as encouragement is truly fantastic. And the chance to join this challenge of winning the Wiley Test Bank came at the best time possible in my CPA exam journey for which I am very thankful. I will be sitting for my first section of the exam in about a month, so having the privilege of practicing lots of MCQs and working on those complex simulations using the Wiley Test Bank would place me among those who have a better understanding of how the exam works. There are two main areas that I consider desirable in a test bank of this kind and from the review above the Wiley Test Bank has them both: a multitude of MCQs and the flexible customization. I am pretty organized and I work really well with systems that are structured per topics. Also, the online track of my progress is like an “eye-opening” perspective on the areas I need to work more on. Thank you again for this opportunity! Hopefully I will be able to send you a success story in about 6-7 months! I did not receive a pin after purchasing Wiley BEC test bank. It has been over 24 hours and I have sent you prior emails. Note to fellow readers: if you don’t have a paypal account and need to type in your email address, please make sure it is typed correctly. Wrong emails create unnecessary time and frustration for both of us. The PIN is always sent right after the purchase. I want to purchase only REG test prep, on your website it shows 2015 on the image but it is clearly written 2016. So wanted to check is it for 2015 or 2016? Does wiley still sells the CD-ROM TEST BANK? Well, I am planning to start preparing for the CPA without any coaching. So, could you help me out with the selection of best study material to help me prepare for the CPA. Since the study material are expensive in India, so I thought to take advice from a veteran so that I land at selecting best material. I have read the above block and it talks about test banks, I have to develop the concept then which study material is available. Further, as per my understanding CPA exam is being conducted by NASBA but one has to register under any one state. There is lot of things to consider while selecting a state for international candidates. Well, can we first gave CPA conducted by an independent agency and post clearing the exam select the state. Hello, thanks for your note. First of all, almost everyone in the US self-study for this exam. Rarely would anyone here take any “coaching” — this exam is designed for those with busy full time job. So you are all set with the studying materials. As for this wiley test bank, you are right, it’s practice questions. You can either get the book online or at major bookstores, or that you can sign up for the integrated review courses. Those are understandably a lot more expensive. 1. I can purchase all 4 of the test banks at $127*4=$508, or I can by each one of it, no need to by 4 at one time. 2. I could not get hard copy of book at this price, only online test. No course or text book. 3. There is no expiration date and it will be updated anytime when Wiley releases new test. 4. I saw in Wiley website said there are over 12,000 questions and 600 simulations, does the test bank have the same questions and simulations? 5. the price in wiley website is$2,295, what is the difference between you and wiley website? Hi Anna, thanks for your questions. I am sure there are helpful to other readers as well. 1. Yes. It doesn’t matter whether you get them all or one at a time. The pins are valid forever as long as you don’t activate it. But then, I usually suggest readers to buy only when they are read to take it because sometimes they lose the pin and I can’t guarantee I can dig it up for them. I rarely run out of stock so this shouldn’t be a problem. 3. Yes and no. There is no expiration date on the PIN as long as you don’t use it. But once it is activated, you have access for 12 months. 5. Very big difference. That is an integrated course with videos, books, online study planner and so on. Please refer to the link above for details. Please kindly advise how to print-out of the multiple choice test. 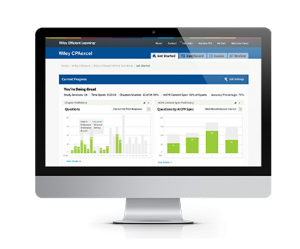 Make sure to test drive the new Wiley CPAExcel test bank before you buy. I’m not satisfied with the updates and changes they have done for April 2017. No way to pause while you’re answering questions (which I don’t really mind since you can’t pause on the actual exam either) but I thought it was a great tool, I could start a practice session at home and continue at work during lunch. The task based simulations can only be taken in groups, you can’t take them individually like before. And the worst change to me it’s that there are no metrics to track your progress by section. They have a metrics section but it only lists all the practice sessions you have completed. You need something that shows the areas that need more attention. Completely agree. The 2017 version took away most of my favorite features! I like that in 2017 the questions are broken out similar to the exam categories. I really liked the “reference” and “hint” buttons available. It helped me solidify the material in my memory and work through problems. Now there is not option for that. The removal of the “pause” button is frustrating. I think you can go back and work on the exam again, or “retake” it. But it’s not as nice as the old feature was. I really dislike not being able to work through the TBS 1 at a time. I’m pretty disappointed in the 2017 version. Had I known this update was going to be so different than 2016, I likely would not have purchased the full test bank package. Hi Do I have pay via paypal? Is ther another option please.